Need to book a skip online at short notice? Need a hire skip that’s affordable, reliable, and available the same day where possible?  Rent a skip with JN Skips and you’ll not only get vehicles ready to deliver and pick up whenever your removal or disposal is complete, but you’ll also get the best prices, top customer service and timescales you can set your watch to. We’re here to supply skip bins and skip bags to the South East, South West, London and Surrey – in fact, if you have domestic or commercial needs in Croydon, we’re your local skip hire firm – let us handle waste removal and bulky collection and clearance for you. Why go down the dump when we can pick up at your house or premises? Book a skip bin for a week or hire a skip for a day with JN Skips – we’re always pleased to be able to talk to our customers via phone to arrange for short-term delivery and pickup, or you can even book a skip online – just take a look at our booking form, pick the dates that best fit your clearance needs and ‘book skip ‘ – we’ll be with you as soon as you need us. There’s a reason why we’ve been in the trade for as long as we have – we don’t just offer a top team and the best prices around – we’re here to ensure that our customers get a rubbish skip that can hold all the trash and junk that’s fit to be thrown away. Take a look at our various skip sizes for more details and book a skip bin that’s right for your project! Low-cost skip hire – with that local, ‘near me’ appeal – can be hard to find sometimes. We’re confident that you’ll be able to book a skip with the best in the business through JN Skips. You can call us on 0208 603 7363 / 0208 150 0045 07928 018 556 if you have any concerns, or if you’d prefer to speak to one of our team about a same day skip collection or two – otherwise, you can make great use of our online form. Simple to use and understand, this booking system will allow you to take complete control of your waste removal – whether you’re removing waste from a building site or if you are overseeing a heavy house clearance. Our services are available to fit all budgets and are not cheap and cheerful – they’re low cost and dependable. Why pay less and get less support? We pride ourselves on never skimping on quality care – and that’s a fact! Hire a skip with JN Skips by taking a look at our online booking form – available via mobile and PC – or call the team today on 0208 603 7363 / 0208 150 0045 07928 018 556 for the best prices available for your time slot. Need same day skip removal or a helping hand at short notice? We’ll get our gloves on and our vehicles out to come help – book a skip online or via phone and we’ll be with you in a jiffy!